Dr. Vincent M. Albert, DMD | Great Bay Oral Surgery Associates, P.A. 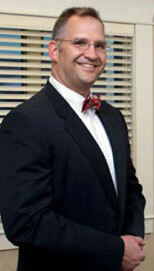 Dr. Vincent Albert joined Great Bay Oral Surgery in 1997 after having been in private practice in Charlottesville, Va. He also brings the experience as an assistant clinical professor in the Oral and Maxillofacial Surgery Department at West Virginia University, where he taught after completing his residency in Boston, MA. Dr. Albert currently practices with Great Bay Oral Surgery in the Portsmouth, NH office. When not working he enjoys his family, the great outdoors and dabbling in woodworking.